If you hate pitching tents, the best option might just be a pop up tent. 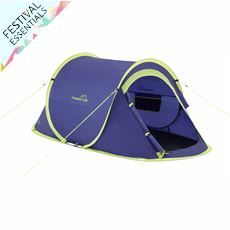 These 2 man tents are set up in seconds; just pull it out of its bag, throw it and peg it down – it couldn’t be simpler! 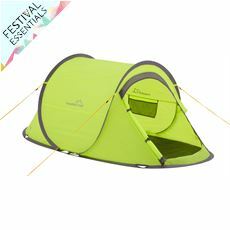 Pop up tents have always been very popular among festival goers here in the UK, due to their minimal effort. As well as for festivals, these can also make nice little play tents for kids, and a great way to get them into the world of camping with some back yard sleepovers during the summer months.